I'm thinking of moving over from BT but need to know which backhaul do they use.. BTW, talktalk or other? BTw, TTB or Zen. When I joined last November, I believe they defaulted to Zen. I asked to go onto TTB but had single thread speed issus, so they moved me to BTw free of charge. Ive been with them 4 days and im getting slow downs at peak times, my old isp never had slow downs but idnet is slow each evening. I should be getting 62/18 but after 6-7pm i end up with 40/18 and im paying more with with idnet than i was with old isp. But i do know of some people who are happy with idnet and they have no problems so i guess you just have to take a chance good thing is if u aint happy you can switch after 1 month. Someone on another forum suggested it could be down to the football, i dont really know. If things dont pick up then im moving again. everything seams to have settled and all seams fine now, i have spoken to idnet and they have been very helpful. I too thinking of moving to IDNet. Does anyone know how many employees IDNet have? I read somewhere it's a very small number, and company revenue tiny in comparison to Zen for example? Not sure why that would matter? Surely if the service is sufficient and the price for that service is something you're happy paying then you're good to go? On the other hand, if they are really sub 10 people then what happens when the accountant or the technician is off sick or takes a holiday? And if they'd been successful over all the years of trading then why still operating with a handful of people, and how?! I'd have preferred an answer to my question rather than reasons not to ask! In any case, don't matter for time being as my Northwest London exchange isn't all fibre and has run out of capacity despite Ofcom and BT stating FTTC available. 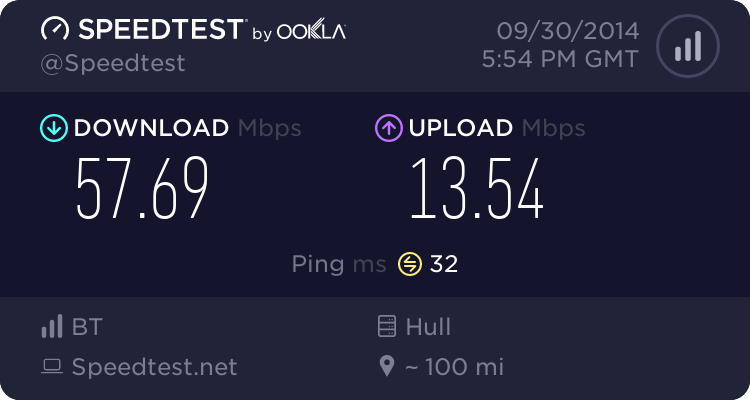 So here we have in 2018 a Greater London area limited to sub 3 Mbps download. I think I can forget upload to cloud services. Despicable. Your exchange won't have "run out of fibre". In most likelihood you are either on an Exchange Only line or the cab to which your phone line is connected is temporarily out of capacity and either waiting for an additional line card or expansion.